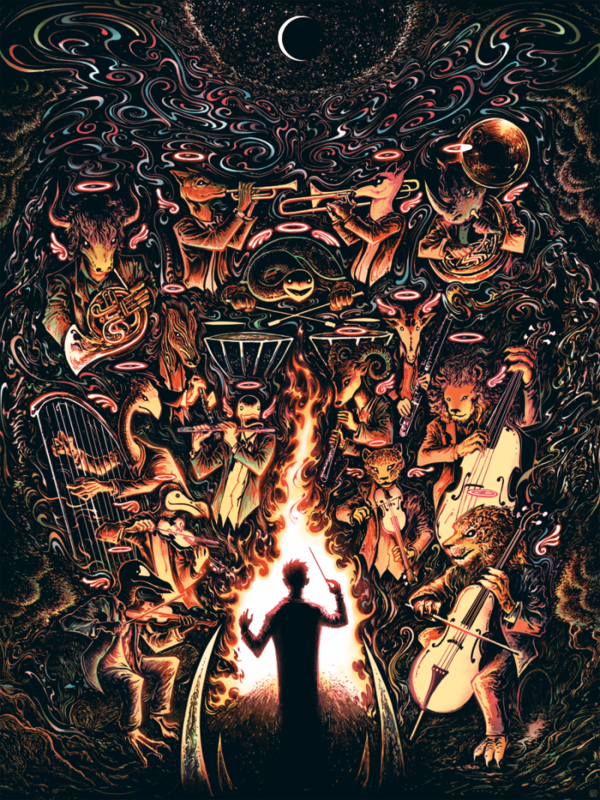 Miles Tsang will have a new print available soon titled, “Extinction Orchestra”. 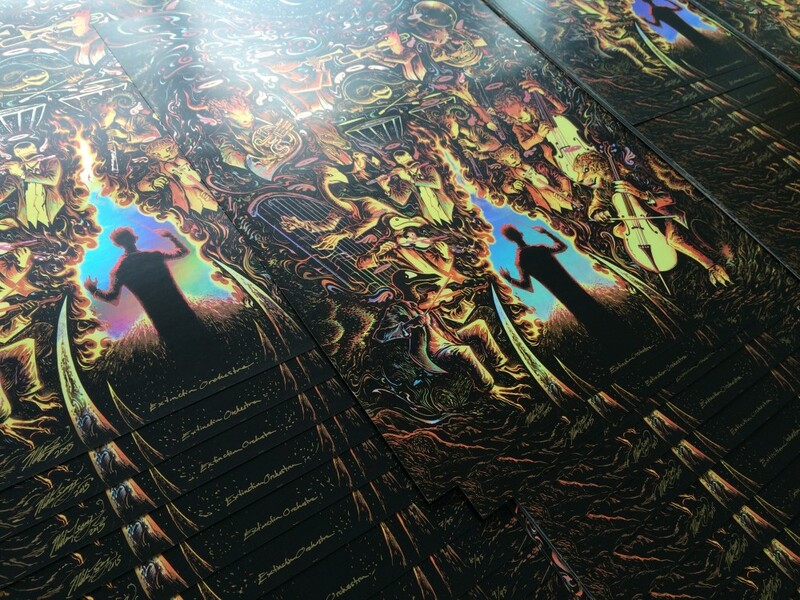 It is a 18″ x 24″ 6-color Screenprint on holographic foil stock, AP edition of 38, and cost $100. On sale Friday, November 6th at a random time HERE. This entry was posted in Art Prints and tagged Extinction Orchestra, Miles Tsang by admin. Bookmark the permalink.